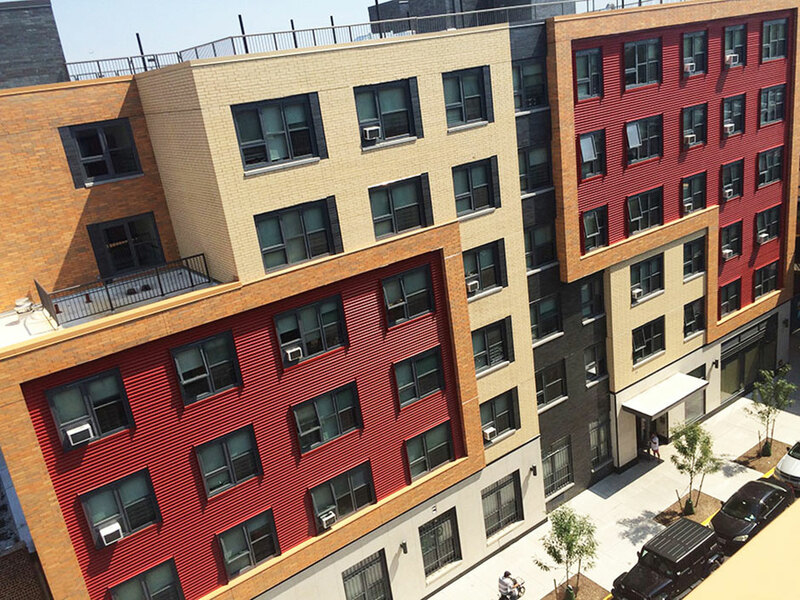 Livonia, a joint development project with Dunn Development Corp., is a transformative mixed-use development which part of a vibrant and active corridor along Livonia Avenue in the East New York section of Brooklyn. The project represents the first phase of the Livonia Avenue Initiative which aims to revitalize formerly New York City-owned sites and better serve the community with access to local services, new housing and job opportunities. Livonia is comprised of four sites with a total of 305,000 square feet, including 278 affordable residential rental units, 16,000 square feet of retail space anticipated to house small, local businesses, and 12,200 square feet of community facility space. The buildings will include a range of studios, one-, two-, and three-bedroom units to accommodate a variety of family sizes. Construction began in January 2014 and wascompleted in the first quarter of 2016.